Sometimes it seems as if the speed of daily life should be measured in nanoseconds. Especially when you’ve got little ones in your life. While their natural energy is something to behold, and sometimes envy, their combined curiosity, and speed can put them in harm’s way, especially when it comes to cords, wires, and outlets. As a parent, you can’t childproof your home too quickly or too thoroughly when it comes to electricity. Tuck cords for lamps, radios, or electronics behind the furniture where your little ones can’t reach them. Electric cords are a major safety hazard for young children. They may tug them, pulling down the device or lamp, or chew them, putting themselves at risk for electrocution. Childproof the cords by tucking them behind something heavy and immovable to eliminate the temptations they pose. If you’re using a small appliance like an iron whose cord hangs near the floor, either put the baby or toddler in a safe place or reschedule the activity until naptime. There’s no good way to childproof an iron. Toasters are another fascination for youngsters. Unplug it after each use to prevent a serious shock. Children have a fascination with sticking forks into the toaster. Don’t leave a coffeepot cord within reach, especially if it’s in use. Always unplug hairdryers and put them away. If you use bathroom heaters, make sure they have anti-tip features and GFCI switches built-in. If you find any bare wires visible inside your home, call Turn It On Electric immediately. Uninsulated wires pose a safety hazard for everyone. Hand-me-downs are great for dressing your child, but when it comes to making your home childproof, reusing old plastic outlet caps doesn’t offer the best protection for the electrical receptacles. In fact, a Temple University study found that every child between 2 and 4 that they tested could remove the caps within 10 minutes. The best solution to outlet safety is to install tamper-resistant receptacles throughout your home to prevent child electrocution. 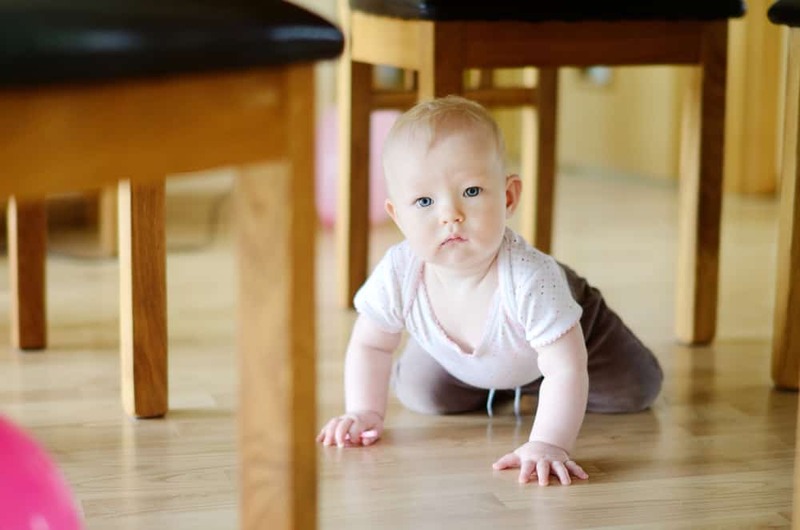 Some childproof experts recommend changing the outlets near the floor only, but we suggest changing out all of them. Saving a few dollars isn’t worth the hazard that receptacles pose for children. Replacing them is not a do-it-yourself project since it involves taking out the old receptacles and installing the new ones. Each circuit breaker in your home will be turned off while the tamper-proof outlets are installed. Insurance companies take a dim view of wiring upgrades completed by the untrained and unlicensed. It’s much better to rely on a professional as you childproof the electrical system than risk your home and the safety of you and your family. While the electrician from Turn It On Electric is in your home to help you childproof, he or she can check the functionality of your GFCIs (ground fault circuit interrupters) and the AFCIs (arc fault circuit interrupters). The electrician may spot other issues that need attention, as well. Some of these steps to childproof your home can be performed by an average person and others, like changing receptacles and an overall safety inspection, require the help of a professional. Contact Turn It on Electric, for help today.